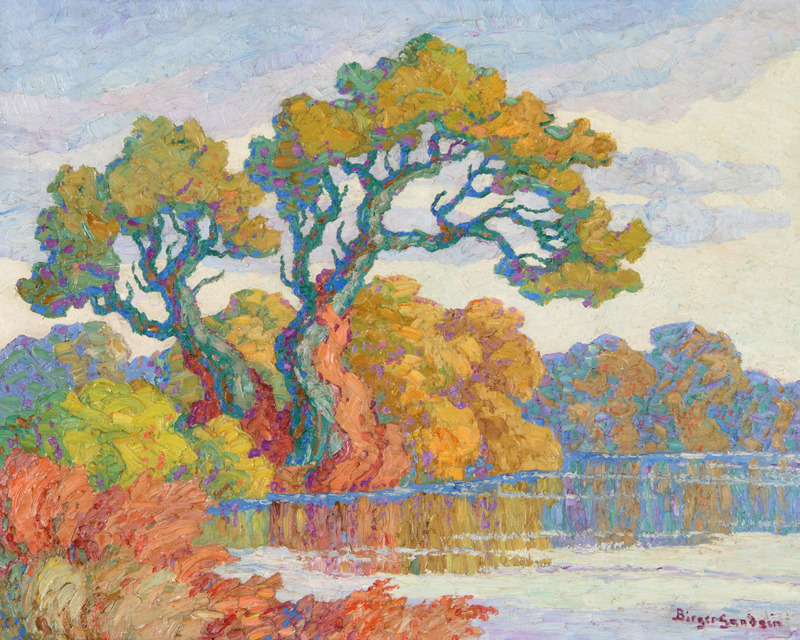 Throughout this period, Sandzén continued to paint at a ferocious pace. 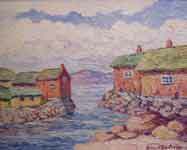 As he matured, his brushwork became smaller and he used lighter hues. 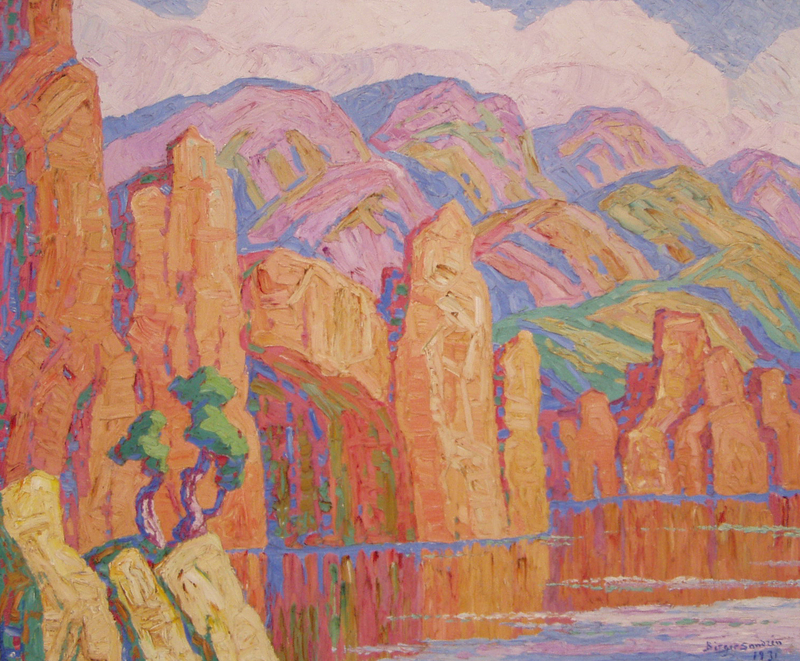 By the mid-1940s, he was painting primarily on prepared Masonite board and focusing on images of the Smoky Hill River, Graham County and Front Range of the Rocky Mountains. 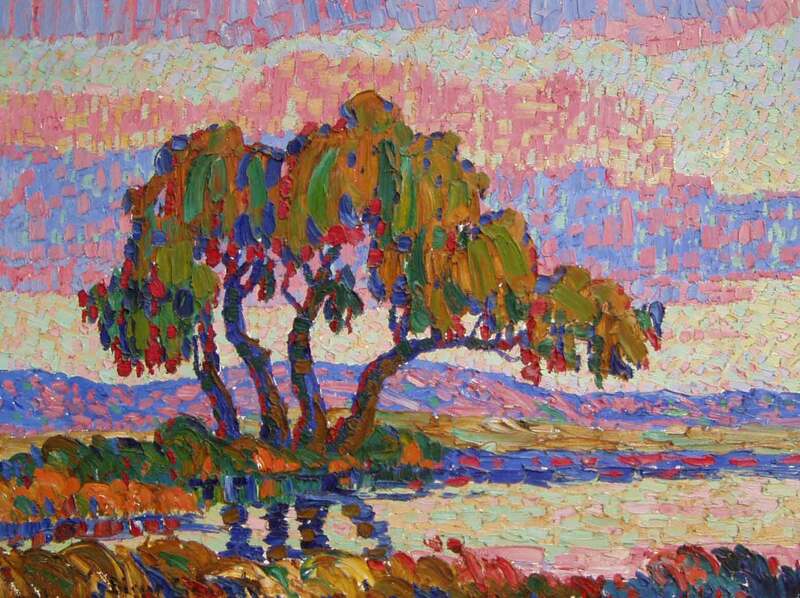 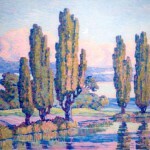 By the end of his life, he had completed in excess of 2600 oil paintings. 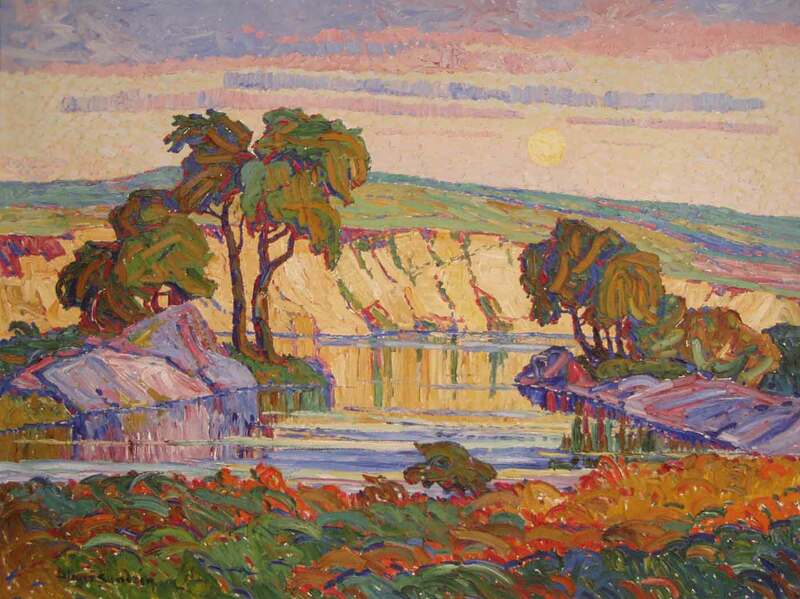 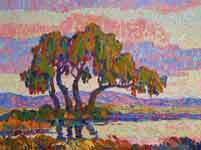 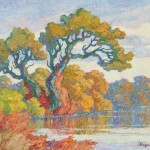 River and Cottonwoods, 1930, oil on canvas, Greenough Collection, BSMG. 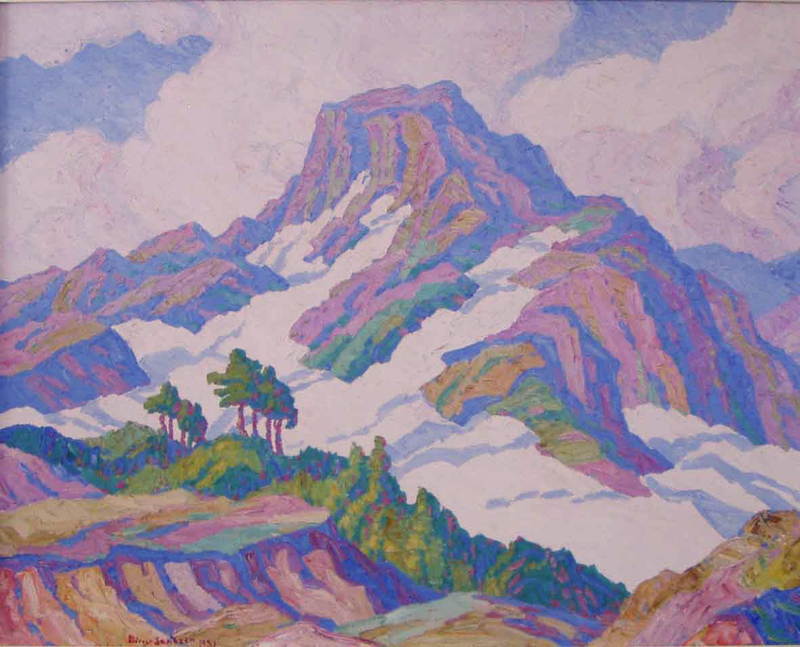 Arapaho Glacier, 1931, oil on canvas, 48 x 60 inches, Greenough Collection, BSMG. 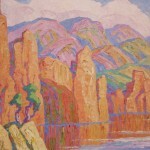 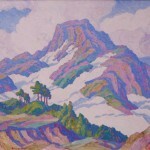 Moab Utah, 1931, oil on canvas, 40 x 48 inches, Greenough Collection, BSMG. 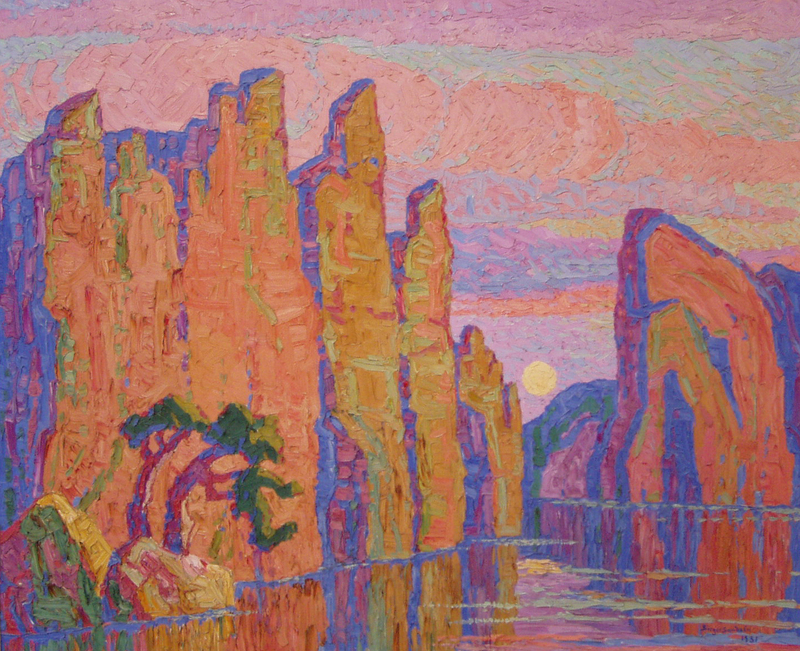 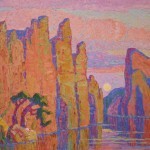 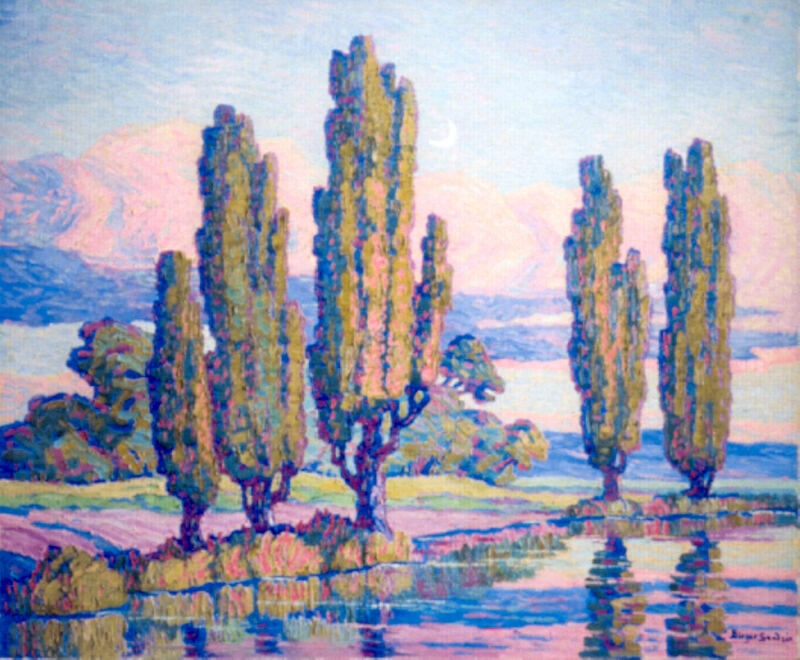 Moonrise on the Colorado River, Utah, 1931, oil on canvas, 40 x 48 inches, Greenough Collection, BSMG. 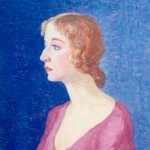 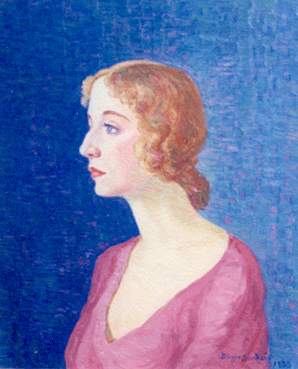 Portrait of Velma Berggren, 1933, oil on board, 24 x 20 inches, Sandzén Gallery. 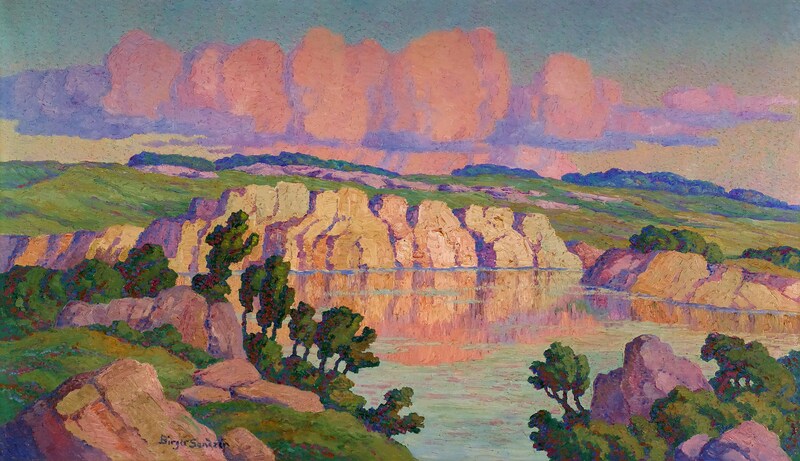 Nocturne Logan Utah, 1935, oil on canvas, 40 x 48 inches, Greenough Collection, BSMG. 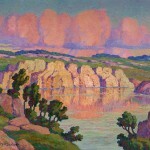 Twilight, Stevensons Lake, 1943, Greenough Collection, BSMG. 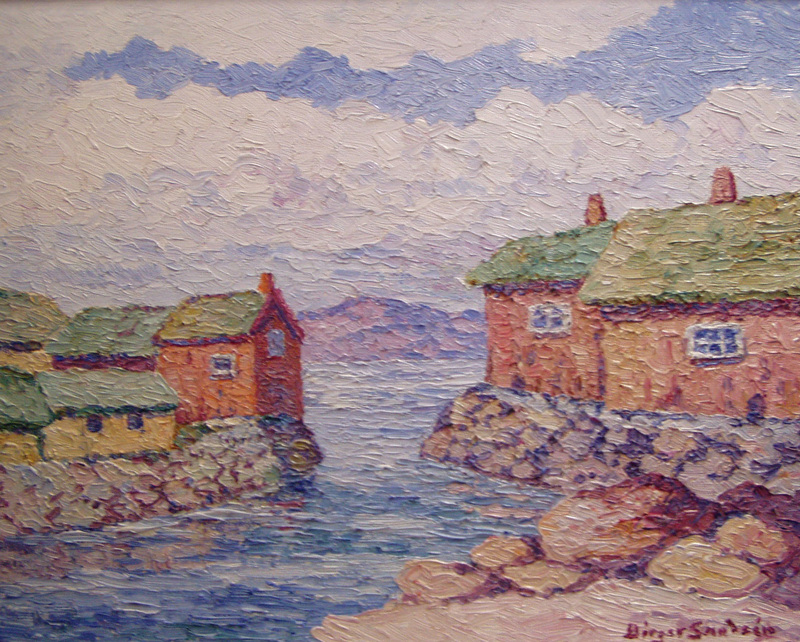 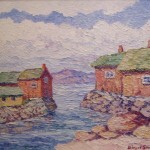 In the North Shore Country Rockport, 1948, oil on board, 16 x 20 inches, Greenough Collection, BSMG. 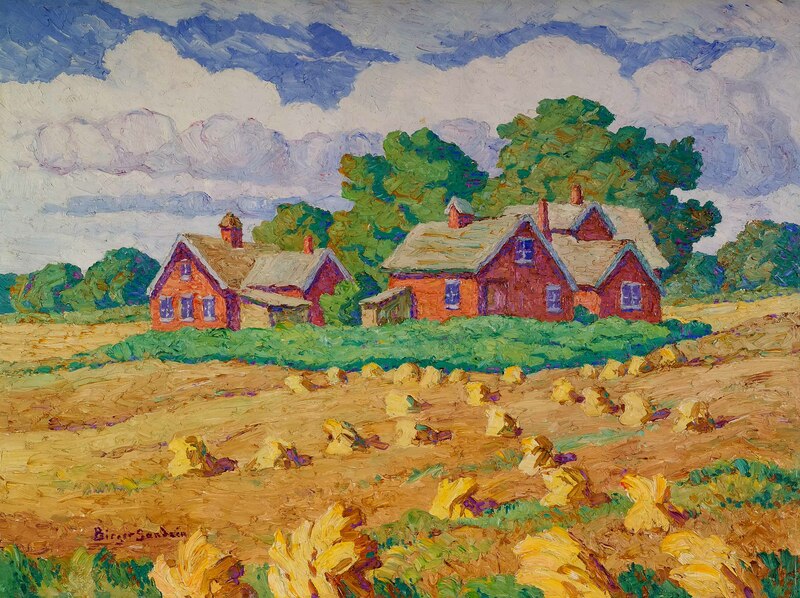 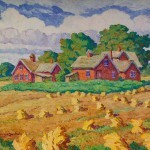 Red Farm and Wheat Shocks, 1950, oil on board, 30 x 40 inches, Greenough Collection, BSMG.